So much to do, right here at regency at Monroe. Toll Brothers Active Adult® has perfected the 55+ community lifestyle. Regency at Monroe in Monroe Township, NJ is the epitome of what makes active senior living so special: a vibrant social scene, the finest resort-like amenities, and luxurious, low-maintenance homes. Regency at Monroe is known for its sense of community. As a premier golf and tennis resort with a full-time Lifestyle Director and over 50 community clubs and teams, this is a unique community where life-long friends choose to move here together, or new neighbors become life-long friends. 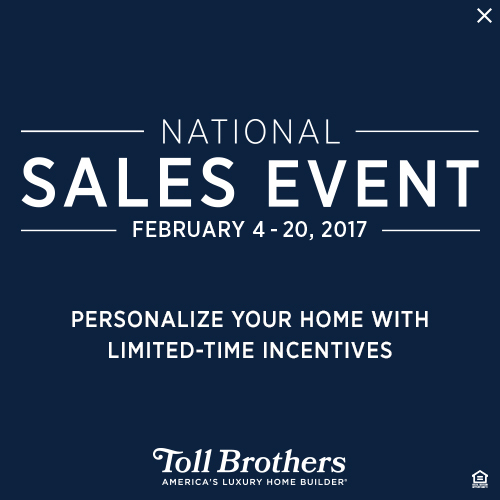 Your new home will be backed by the Toll Brothers guarantee of superior craftsmanship and lasting quality. Leave all the heavy lifting to us and enjoy a country club lifestyle in convenient and picturesque central New Jersey. As a homeowner at Regency at Monroe, you’ll be part of a vibrant and active community. Most of the activities we offer are held in our impressive 40,000-square-foot clubhouse, which is the hub of our social scene. It offers elegant social functions with a formal ballroom, a 4,500-square-foot fitness center, tennis, pickleball and bocce courts, heated outdoor and indoor pools, spa facilities, private café, library and much more. This is truly a state-of-the-art clubhouse with on-site activities for older adults that will keep you entertained with fitness, events, meeting new friends, or just relaxing. The new 2,000-square-foot tennis pavilion features 6 lighted tennis courts with a state-of-the-art cushioned surface. Get your friends and start a fun tournament, or bring your racket and join the community tennis club. A challenging but enjoyable course is right here within your neighborhood at Regency at Monroe. Play a round with your friends, or just take in the stunning views of our USGA 9-hole executive golf course designed by gold legend Arnold Palmer. Our luxurious community also features a driving range, putting green, and a golf pro shop. Whether you’re a golf enthusiast, or casual golfer, Regency at Monroe makes it easy to spend more time on the golf course. Our homeowners have endeared this community as “Camp Regency” because just like summer camp, Regency at Monroe is a community with year-round entertainment, luxurious amenities, and more than 50 clubs and teams. Whether you’re a Classic Auto enthusiast, an actor, or someone who loves photography or water volleyball, there’s a club for you. Or better yet, gather your friends with similar interests and form a new club! We also have a full-time lifestyle director who keeps our social calendar full of new outings and activities. Central New Jersey is not only picturesque but also offers convenience and numerous nearby entertainment options. At Regency at Monroe, our lifestyle director organizes outings to nearby New York City and Philadelphia as well as events closer to home, such as productions at the PNC Bank Arts Center. Just a short drive to neighboring New Brunswick and Princeton, NJ, this community puts culture and theatre in a historical setting within reach. Living here means enjoying New Jersey beaches, going on a fishing trip, or shopping at the Freehold Raceway Mall with more than 100 specialty shops to browse with your friends.